Charleston was established in 1670 by eight private investors, known as the Lords Proprietors, who were loyal to King Charles II. It was the crown jewel of the Carolina Colonies, which extended from Florida to Virginia, and was the wealthiest British city in North America. The city was set up into burroughs with the street names conveying their earliest meanings. 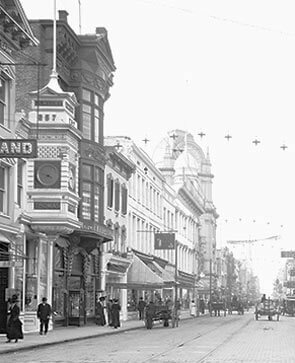 For example, King Street was the Old Kings Highway; Meeting Street was where the old meeting houses were located; and Water Street was part of the harbor until government projects filled in the land. The lists go on. For more than three centuries, Charleston has captivated visitors and residents alike. With its distinct architecture, charming gardens and squares, excellent shopping, world-renowned restaurants, nearby white sand beaches and friendly locals, the Holy City is where history and hospitality truly meet. 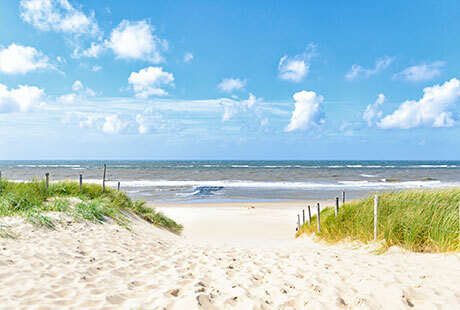 Feel cool sea breezes blow through shady Palmettos as church bells ring out in steeples high above the skyline. 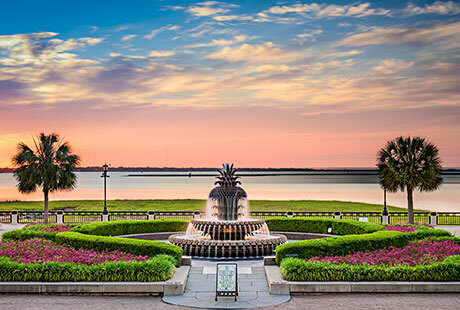 Learn about Charleston’s history on a carriage ride or simply wander down centuries-old streets past charming homes, gardens, galleries and museums. However you choose to experience it, a getaway to Charleston is not soon forgotten. 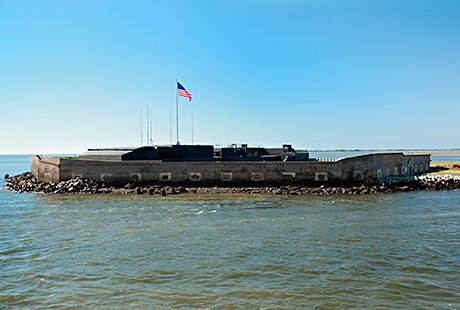 Dubbed the “birthplace of the Civil War,” Fort Sumter is located in Charleston Harbor and is accessible by concession-operated ferry or personal boat. 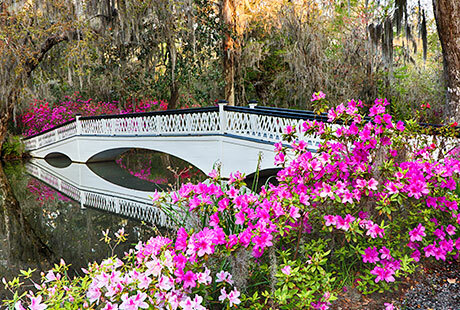 Founded in 1676 by the Drayton family, the 390-acre Magnolia Plantation on Charleston’s Ashley River features the oldest public gardens in America. 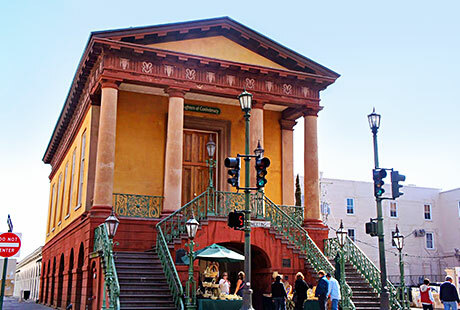 The cultural heart of Charleston, the Historic City Market spans four city blocks and features hundreds of artisans, galleries and shops. Don’t miss the city’s quintessential sweetgrass baskets. Spanning 12 acres along a half-mile of the Cooper River, this popular Charleston park is dotted with picturesque walkways and foundations. 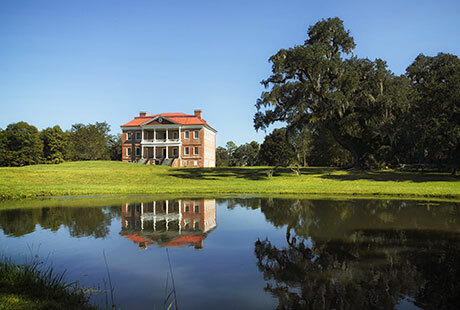 Step back in time at the beautifully preserved Drayton Hall, an 18th century antebellum plantation on the Ashley River just 15 miles north of Charleston. 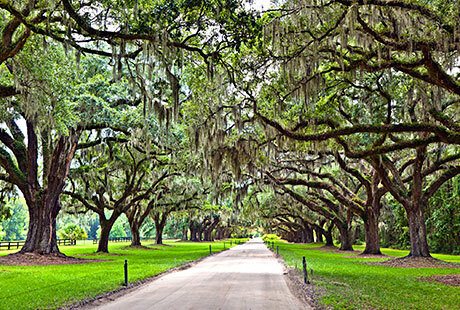 Beloved for its moss-draped Avenue of the Oaks, this scenic 1681 working plantation features historic structures including original slave cabins. 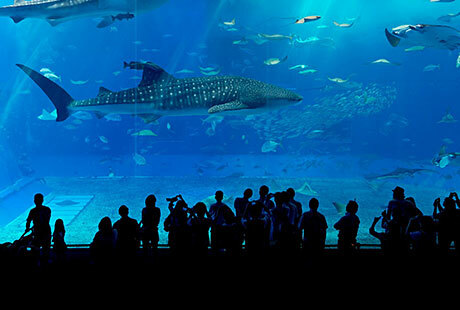 Come face-to-fin with more than 5,000 animals, including stingrays, sharks and alligators. The Sea Turtle Hospital is a must-see. 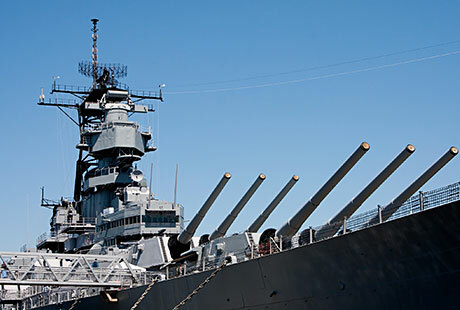 Follow in the steps of naval heroes at Patriots Point Naval & Maritime Museum, home of the USS Yorktown. Located just a few minutes from downtown Charleston, Sullivan's Island draws locals and visitors to its wide beaches and array of dining, shopping and on-the-water-recreation. 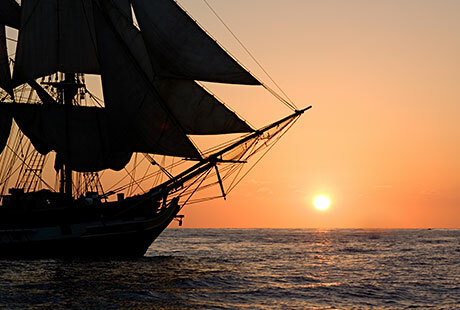 Replicating an 18th century coastal trading schooner, Charleston's only 3-mast tall ship offers daily dolphin sail and sunset sail excursions.